Good evening!!! 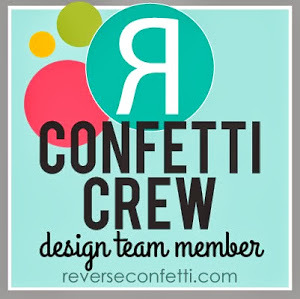 So - this little blog is celebrating FIVE years this month - on October 20th!!! I can hardly believe it has been that long, and yet in some ways I don't remember not doing this. I have been SOOOO incredibly blessed by all the amazing people I have met through this hobby - and so incredibly lucky to work with some AMAZING products and companies. To celebrate I have lined up TONS of giveaways from some of these amazing places. HUGE thanks to each of them for their generous donations of prizes - I'm super excited to be able to share them with you! 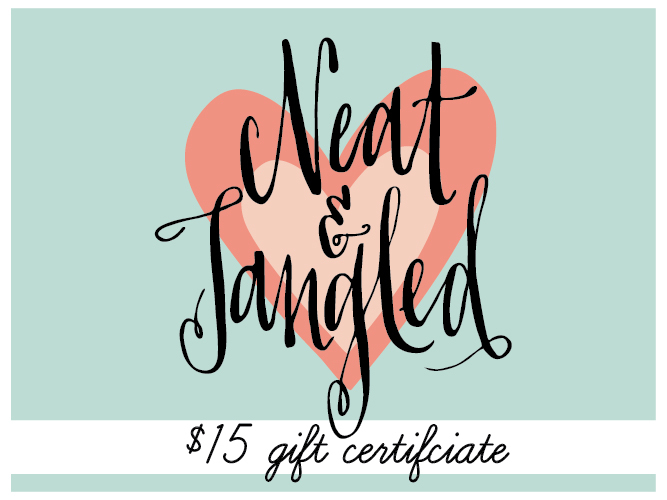 Tonight I'm featuring another stamp company that I adore - Neat and Tangled! Danielle was so sweet to provide a $15 gift certificate for me to give away!!! I can't remember exactly how I discovered Neat and Tangled stamps - but it was love at first sight! They were also one of the first companies that I saw promoting using sequins on cards, and where I got my first collection of them. 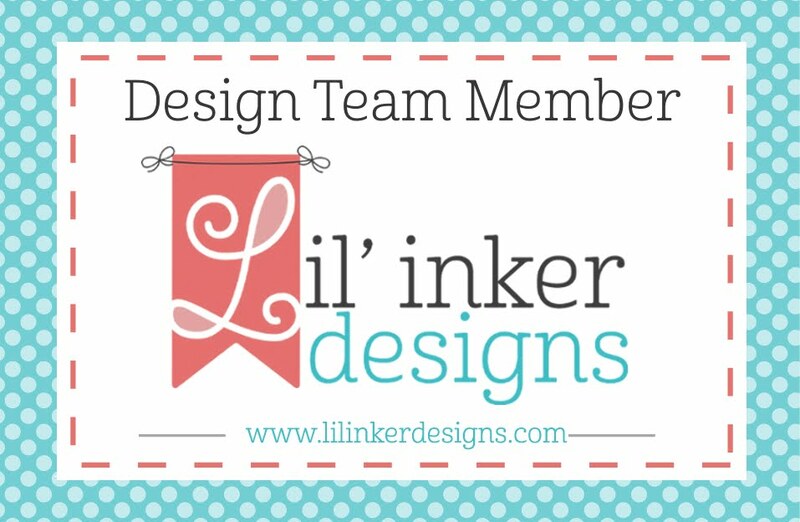 I served a short term on their Design Team (filling in for someone who was on maternity leave), and many of the cards I had published (back in the days of Paper Crafts and Scrapbooking Magazine!) used Neat and Tangled stamps. I always love oohing and ahhhing over each new release - and am especially fond of the beautiful handwritten fonts - as well as some of the unique and clever dies. 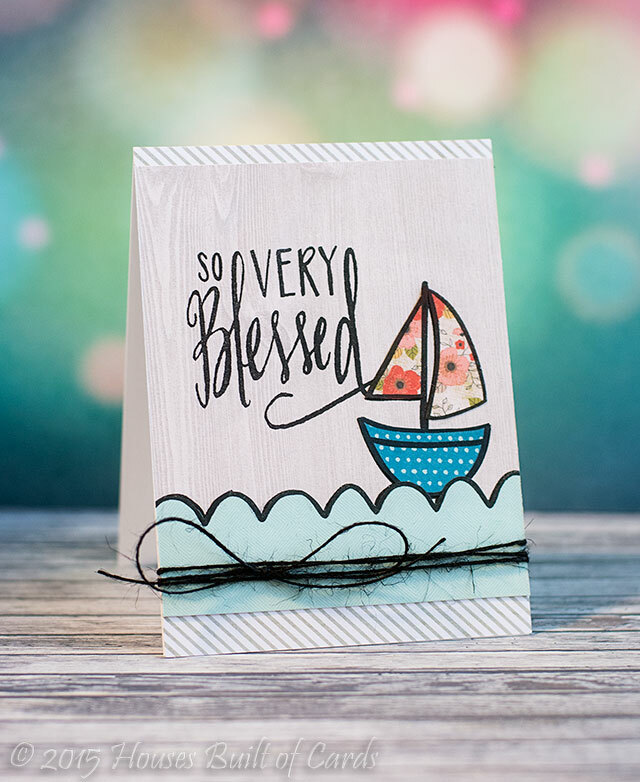 I used just the sentiment portion of So Very Blessed, then Sailmates for the boat and waves, and paper pieced my scene with some Pink Paislee pattern paper. Added a bit of jute twine to finish it off. And here is that giveaway! SOOOO fun, yes? You can enter the giveaway below using Rafflecopter - this is my first time using this method for a giveaway, but since I have so many to do this month I thought it might help make it easier! So - if there are any bumps along the way, please forgive me as I figure them out? All giveaways will stay open until the 20th (the official birthday date!) and I will announce all winners that day! If you already follow on Pinterest, Youtube, or Facebook - feel free to leave your name for each day of giveaways, no need to be a new follower only! Have a wonderful day - and good luck! Your card is so sweet! Congratulations on 5 years of blogging! That is amazing. I always admire all of your beautiful cards and your photography skills. Congratulations on your blogging. I think I started blogging around 4 years ago. I'm not sure what my favorite outside activity is. Its probably just the time spent outside with my Grand Children. So glad that its fall. We love spending time around the fire pit. Roasting hotdogs and making Smores. Thanks for the chance to win. Love your cute card. Again, congratulations on your milestone! This card is adorable. Love that little sailboat. :) My favorite outdoor activity is taking a walk. Whether it is finding the first flowers in spring, feeling the sunshine in summer, admiring the glorious colors of the leaves in fall, or being out after a new snowfall, I just love walking around seeing what God has created for us to enjoy! Amazing card, Heather!!! As always) Thank you for a chance! First up congrats!!!! Cute sail bout, I wish they made feminine sails that pretty, although my husband wouldn't be so happy, lol. My favorite outdoor activities, well first would be swimming, barbecuing and S'more making with the kids. Second, I loooove to decorate for Halloween and Christmas. My favorite outdoor activity is watching my son play sports or going to the Fall Barn Sales (going to one today!). Paper piecing is so much fun! I have a few N&T stamps; I think they're really creatively designed. I'm not much of an outdoor girl, though I do like walking. Mostly I like sitting in the shade or by the water, reading or doing crossword puzzles or knitting. Very sweet card. I like the paper piecing. I like the camp and canoe. Such a cute card! Thanks for introducing me to Neat and Tangled :) Congrats on 5 years!!! Love your card. simple and elegant. Very beautiful card!! Love the paper piecing!! My favorite outdoor activity is shopping ;) if that counts.. I do love camping.. It's been ages since I went on one! Congratulations. 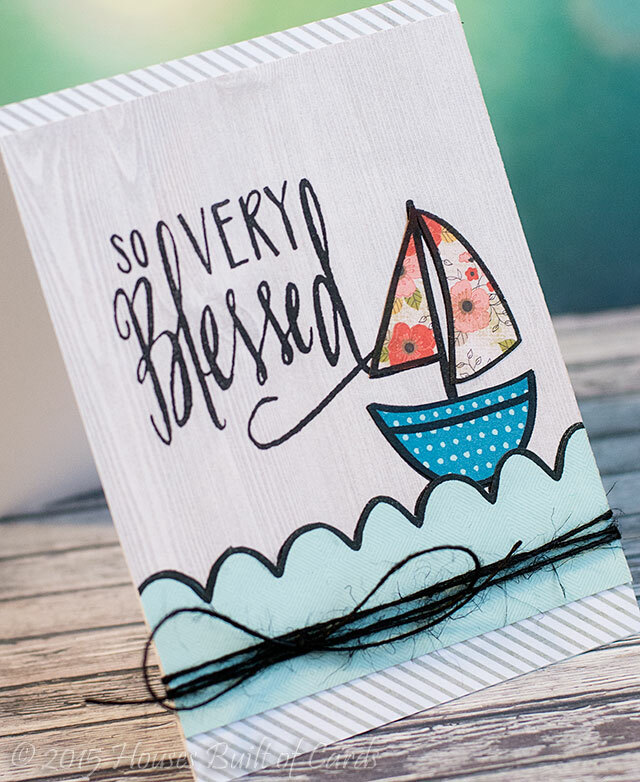 I love your sailboat card. My favorite outside activity is anything with grandkids, even if just watching them play their sports. I love just going for walks and also golfing. Congratulations!! Cute card. My favorite outdoor activity is fishing. I'd fish all day and into the night! Love the card. Congrats on your five years of blogging. Such a super card! Such an exciting time for you! Congrats! Cute Card! Congrats on your five years of blogging!! Your card is wonderful. I loVe your sailboat. Thanks for sharing. Your card is SO VERY LOVELY Heather - LOVE your sentiment and sweet scene!!! 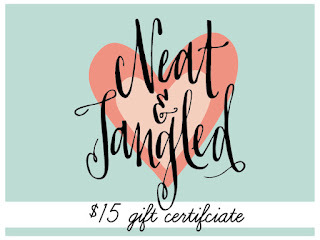 Neat and Tangled have FABULOUS designs to create with!!! THANK YOU for the inspiration and the chance to win!!! My favorite outdoor activity is visiting botanical gardens! Sooo restful!! Butterfly world in S FL, even plays classical music - always recharges my battery! I love snowy outdoor activities but sadly we don't get much of it over here! I also love prayer-walking in the beautiful Irish countryside with a good friend - we talk on the way in and pray on the way out! Your card is fresh, clean and sweet - very YOU! Would have to be hiking. Nothing better than walking with the kids, talking about anything, on a warm Summers day. Your card is lovely :) ..My fave outdoor activity is hiking . Congrats!! I love taking early morning walks with my cup of coffee. I like to get outside and cut the grass, do the trimming, and pick up any leaves that have fallen. I do have a pool - so in the summer I like to get in the pool to cool off. My favorite outside activity is working in my flower garden with my grandchildren! It is fun, relaxing and they learn so much from it! to get good walks in also! I love walking and biking with my family. 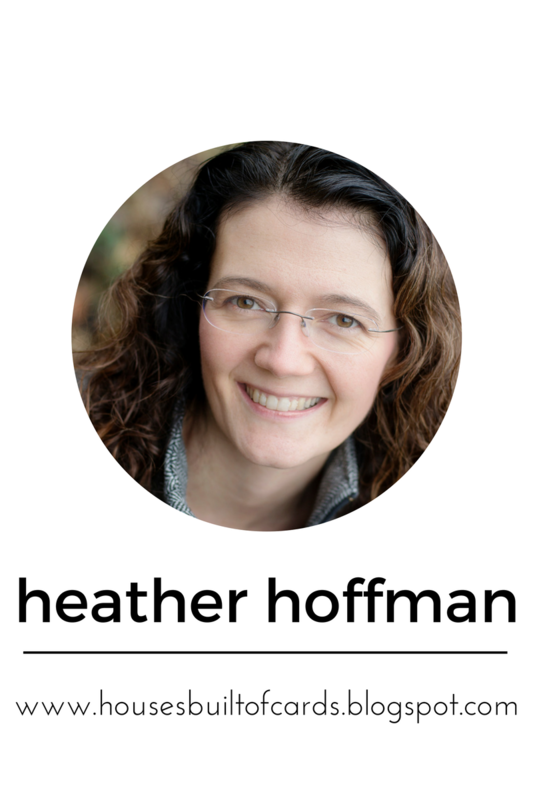 My favorite outdoor activity is walking through the woods and hunting for things to use in my crafts. Riding bikes is my fav. outdoor activity. Cute paper pieced card. i like walking and sailing but haven't been in years! Love your card! has to be limited. I would like to start riding bikes again. We love hiking as a family in the beautiful mountains!! What a beautiful card! 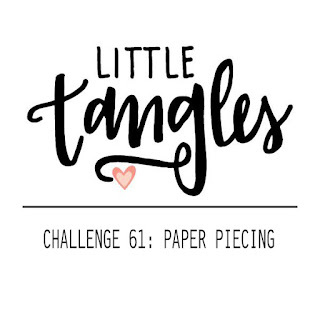 Thanks for playing along with the LY Paper-piecing challenge! Unity Hop - Snowman Joy!